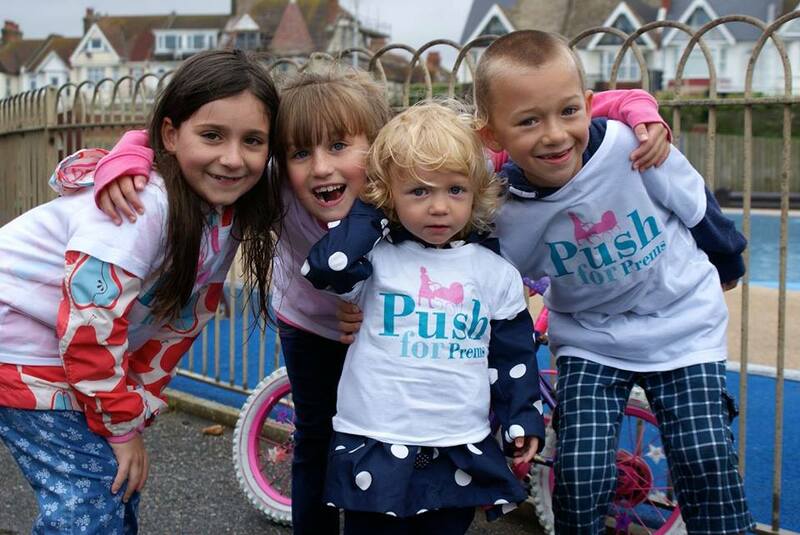 For their 10th annual sponsored walk on Sunday 23rd June, we are very proud and pleased to announce that Push for Prems are supporting both us and Ronald McDonald House. We’d love to see you there and join us in walking from The Royal Sussex County Hospital to Hove Lagoon. We set off at 11am from outside the front of the hospital. EBA members will be there walking with our babies and children, and you can also make a donation and find out more information on the Push for Prems JustGiving Page. The amazing lady behind it all, Catherine, says; “This year we will be CELEBRATING our 10th Push for Prems. Together, we have raised over a staggering £90,000 for the TMBU, PRH SCBU and other charities that provide vital services to both baby units. This year, we will be supporting the Early Birth Association, a fabulous charity that provides much needed supplies and vital life saving equipment to both units. We will also be supporting the Ronald McDonald House. An amazing charity that provides an invaluable home from home, enabling families to stay close by while their little ones are in hospital. No sign-up is required to do the walk. We will meet outside the Royal Sussex County Hospital, Brighton and walk to Hove Lagoon, where we will have a picnic and this year we will be doing something a little different at the end of the walk – a bubble release in memory of those very precious little ones that sadly didn’t make it home. SAVE THE DATE – Push for Prems 2019 will be taking place on SUNDAY 23rd JUNE. More info on our JustGiving page.